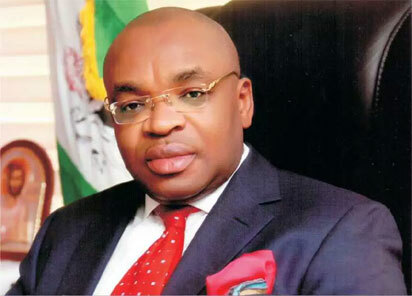 The Economic and Financial Crimes Commission has said that it has not frozen any account belonging to Akwa Ibom State Government in any bank anywhere. The commission cleared the air on the matter following claims by the state Information Commissioner, Charles Udoh, on Wednesday night that the accounts of the state had been frozen by the anti-graft agency. “The state government will speak on the account freezing soon,” Mr. Udoh said, without giving further details. But a top official of the EFCC told Vanguard on Thursday that the agency had not frozen any account belonging to the state in any bank either in or outside Nigeria. The top officer challenged the purveyors of the information to name the details of the accounts reportedly frozen, the banks in which the are domiciled and the amount standing in those accounts. The officer said that there was no reason to freeze the accounts since Akwa Ibom state government and the commission were already in court over the movements of state funds. “The case is already at the Appeal Court since they challenged our powers to investigate the accounts of the state and the matter has not yet been determined and we cannot embark on self help. “So, we challenge the state government to name the banks in which the accounts were reportedly frozen, the account numbers and the amount standing in the accounts to prove to the world that indeed what they are saying is true,” the top official said. “We believe strongly that some elements are deliberately trying to blackmail the EFCC by boldly lying against the commission all in a veiled bid to drag it into politics. This is quite unfortunate and a disservice to this country,” the official said.